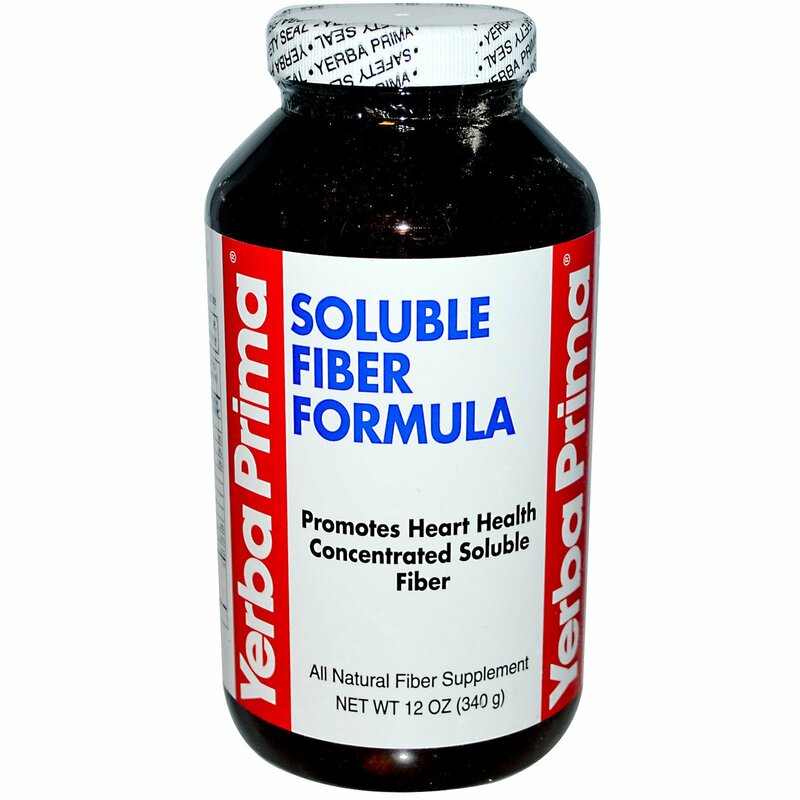 Soluble Fiber Formula is a simple, natural way to help promote heart health by supporting healthy cholesterol levels. Soluble fiber has been shown in numerous studies to help remove excess cholesterol from the intestinal tract. 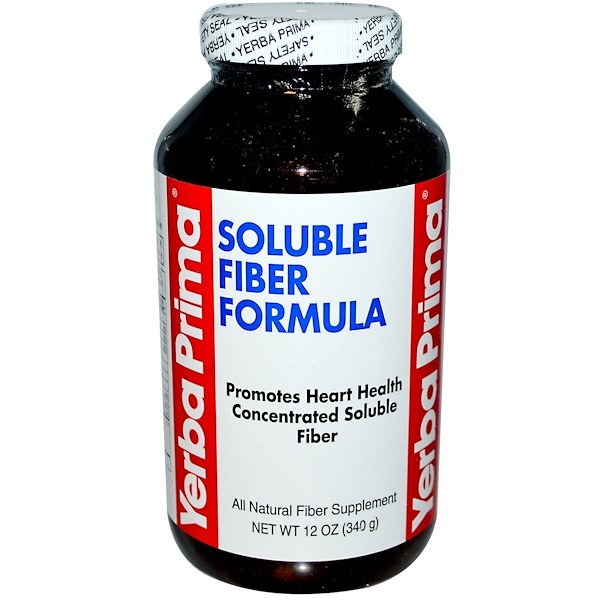 Help guard your heart's health with the extract nutrition provided by Soluble Fiber Formula. For best results, use every day as long as desired. Adults and Children over 12: To help maintain healthy cholesterol levels and support heart health, take 1 heaping teaspoon twice a day, with meals. 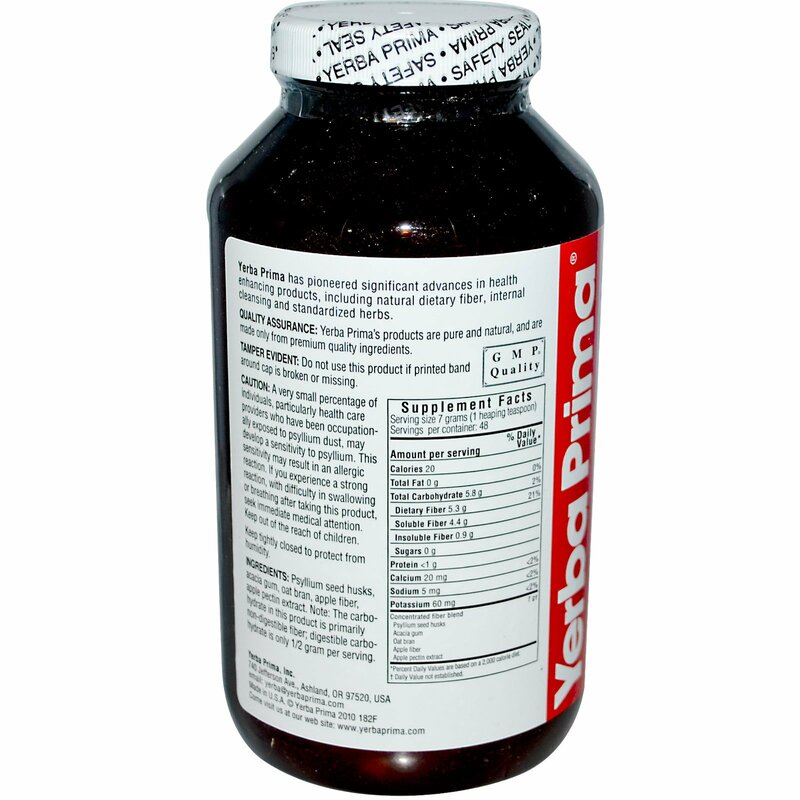 As a fiber supplement, take 1 to 3 teaspoons a day, either with or between meals. See Directions. Directions: Start by taking 1 serving each day. After several days, increase to 2 serving a day. Stir powder briskly into at least 8 ounces (a full glass) of liquid. Juice, water, soy or rice drink, and milk are all good with Soluble Fiber Formula. For easiest mixing, shake vigorously in a closed jar. Drink immediately. Drinking additional liquid is helpful. If minor gas or bloating occurs, reduce the amount you take until your system adjusts. Cáscaras de semillas de psyllium, goma de acacia, salvado de avena, fibra de manzana, extracto de pectina de manzana. Nota: El carbohidrato en este producto es principalmente fibra no digerible; El carbohidrato digestible es solamente 1/2 gramo por la porción. Tamper Evident: Do not use this product if printed band around cap is broken or missing. Caution: A very small percentage of individuals, particularly health care providers who have been occupationally exposed to psyllium dust, may develop a sensitivity to psyllium. This sensitivity may result in an allergic reaction. If you experience a strong reaction, with difficulty in swallowing or breathing after taking this product, seek immediate medical attention. Keep tightly closed to protect from humidity. * El porcentaje de valor diario se basa en una dieta de 2.000 calorías.